Please be aware that not all instances of fraud are investigated by the WA Police Force. View the information on How to Report Fraud prior to using the below form. 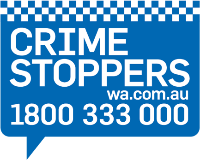 If you wish to refer a fraud complaint to the WA Police Force, please complete the below Fraud Report Form. The completed form should be handed to your local Police Station. Fraud has been identified as the most expensive crime category in Australia with fraud and deception-related offences believed to be the largest category of all federal offences from all levels of Australian courts. Please be aware that not all instances of fraud are investigated by the WA Police Force. Please view this information prior to reporting fraud.